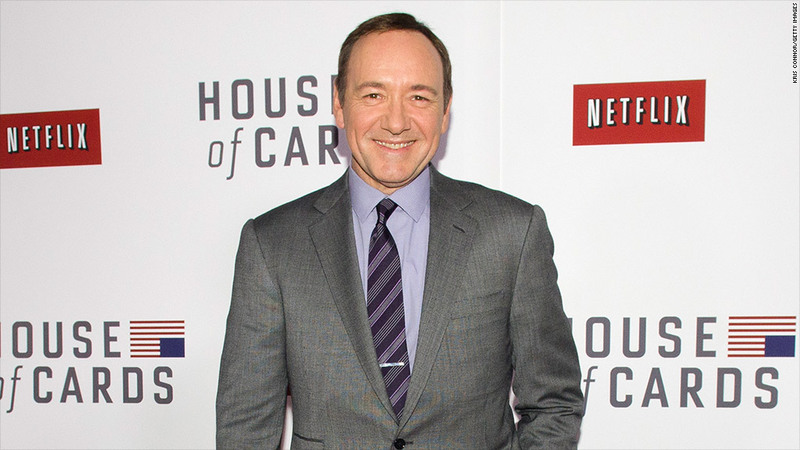 Netflix is hoping its investment in original programming, including Kevin Spacey's "House of Cards," pays off in the form of new subscribers. Netflix is making a big bet on original series, and investors will soon get a first look at whether the gamble paid off. The streaming video company will report first-quarter earnings on Monday, and the first question on many investors' minds will be about how the splashy Kevin Spacey political thriller "House of Cards" performed. Netflix's biggest original series to date reportedly cost an eye-popping $100 million to produce and shoot two seasons. The company hopes that investment pays off in the form of new subscribers. Netflix (NFLX) first announced the original programming scheme in late 2011, and since then, executives and spokespeople have repeated the party line: "We want to become HBO faster than HBO can become Netflix." To do that, Netflix is rolling out a long list of original series this year in addition to "House of Cards." The slate also includes a second season of "Lilyhammer," an upcoming new season of the canceled show "Arrested Development," a new series from horror-flick master Eli Roth, one from comedian Ricky Gervais and another from "Weeds" creator Jenji Kohan. The price tags might be high, but Netflix spokesman Joris Evers insisted to CNNMoney in February that the company spent about the same amount on "Cards" as it would have on an exclusive streaming deal with an outside studio. Those expensive licensing deals are precisely why Netflix is branching out. Studios have demanded more for their valuable content in the past two years, as they can now shop their shows around to other services: Hulu, Redbox (CSTR), Amazon (AMZN) and more. HBO (owned by CNNMoney parent company Time Warner (TWX)) and CBS (CBS)' Showtime are also expanding their streaming offerings. The content licensing bills weighed significantly on Netflix's profit last year, as the company earned just $17 million for all of 2012. Plus, Netflix is on the hook for at least $5.6 billion over the next few years to pay for its licensing deals. That's a hefty bill, but some analysts have also expressed concern about the costs of the original series. Others have dinged Netflix's choice to release all episodes at once, pointing out that someone could sign up for a month to watch "Arrested Development" and promptly cancel. But CEO Reed Hastings is convinced original programming is the way to set Netflix on the right path for the long term. In February, Netflix said it's considering issuing debt in order to raise capital and fund more series. Investors appear optimistic. After a massive sell-off that lasted from late 2011 through all of 2012 -- which some industry watchers deemed an overreaction to Netflix's troubles -- the stock is up an incredible 80% so far in 2013. Netflix isn't the only company with its eye on original content, however. Amazon posted 14 new TV pilots online on Friday, letting users watch for free and asking them to provide feedback on which should become full series.